This post a few days ago over at Signal vs. Noise is quite interesting. Jason Fried recently swapped back from the smartphone world to a Motorola PEBL and it's enlightening to hear his reasoning: Basically, after a few weeks, all the cool stuff that you can do on a smartphone lost its shine and he found that he was just using his whiz-bang new handset simply as a phone, and the current crop of smart phones are too bulky and complex for that. So he decided to swap to a PEBL because its great industrial design, small form factor and tactile feel was nice, while still providing the basics. Jason called it "Less Phone" but I think what he really meant was "Less Smartphone," and that's a perfectly reasonable thing to want. 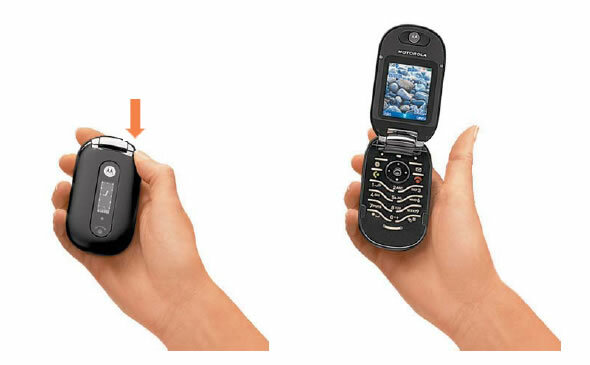 In fact, the sweet spot in the market for the forseeable future will be these types of "Feature Phones" which don't have the complexity or bulk of smart phones, but still have a ton of advanced functionality like cameras or Internet access. I highly doubt all he's ever going to do with his PEBL is make phone calls, text and check his calendar, but then again he doesn't need to use every feature on his phone every day either. In fact there's often days I lug mine around all day and never even look at it even to make a call (I guess I'm not that popular). But there's lots of functionality that's there in case I need it, sitting there waiting for me when I'm ready to pull it out and use it.